Walked into a bookstore tonight and everything was completely normal. 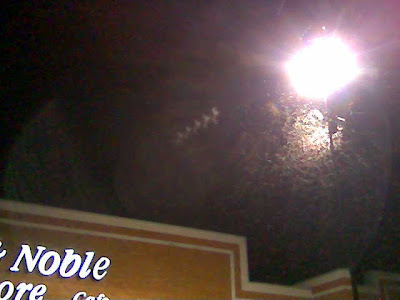 Walked out about 15 minutes later right into a friggin' OCEAN of swarming bugs. Literally millions upon millions of them. Luckily I'm not too tripped out by buggage... had my wife been with me, she would have died on the spot. These things were thick for literally about a quarter of a mile square. This is one of the few times in my life where I was very happy to be in a car rather than on a bike. The road was covered with a paste of bug carnage... crazy.